FULL DISCLAIMER: This PC builds aren’t sponsored by ASUS ROG and other peripheral manufacturer in any means. Still hesitating about picking up a build for Intel’s latest 8th Generation Coffee Lake platform? Well, we’re here to help you out. But take note, this is a special edition PC build – targeting multiple budget buyers while sticking out to a single brand for most of the parts we’re using. We previously published a guide for MSI and Kaby Lake as well, and you can view it HERE. To be honest, we thought that a Coffee Lake build for now can only be built by users who can shelve out more cash than a normal average joe may do, since not all motherboards for the Coffee Lake platform is out yet, including budget-tier chipsets such as B360/B370 (if Intel wants to call them like that, since AMD already got the B350) and H370. This reason is why we’re targeting ‘PAYAMAN’ users this time – means that they have enough cash to buy whatever we put in this build. Don’t worry, when the other motherboards and chips comes out, we’re also doing a budget-friendly build for Coffee Lake then. By the way, these builds already include the monitor & peripherals so we’re actually building a complete PC here if you decided to follow the parts list we’ve chosen. FINAL NOTE: If you are coming from the Kaby Lake 7th Generation platform, we aren’t recommending you to upgrade unless you want to, since there aren’t much difference in terms of performance, especially in terms of gaming. Spend the cash you have instead on improving the other hardware for now. If you are asking why, the 8th Generation chips will require a purchase of new motherboard as well, although it says that it also uses the LGA 1151 socket. In truth, there are additional pins on the newer 1151 socket, also known as the LGA 1151 v2, which renders the Z270/B250 and Z170/B150/H110m motherboards incompatible with the Coffee Lake processors. Since this is a multi-budget targeted build guide, we’re putting multiple choices for each and every component for each of the three builds here, denoted by letters A, B and C.
*PHP prices based from PCHub prices as of writing – subject to change without any notice. *USD prices are based on MSRPs set by the company themselves. Learn more about the Coffee Lake processor family HERE. The Core i3 8350k is ideal for users who do light to medium gaming, especially e-sports titles. Given that it boasts a new 4 cores and 4 threads (4C/4T) configuration, it is an ideal competitor to AMD’s Ryzen 3, especially the Ryzen 3 1300x. Yup, this is also unlocked so you can gain more from its stock speed of 4.0GHz. Sadly, there’s no multi-threading option here, so we’re stuck with 4 threads as well. Learn more about it HERE. The Core i5 8600k is ideal for gamers and lightweight content creators who like to play and work on their PC at the same time but restricted on a certain budget. As some of you might not know, you don’t need to get an i7 chip for gaming. Given now that it has also 6-cores and 6-threads configuration (6C/6T), you will be pleased to get this chip especially knowing the fact that you can get more with it by overclocking at a certain clock speed. Just take note that it doesn’t have multi-threading as well, so we’re also stuck with 6 threads here. In terms of competition, you can pair this up with either the Ryzen 5 1500x or even the R5 1600. Learn more about it HERE. The Core i7-8700k. Should we bother explaining it? Of course, it’s the high-end among all the 8th Generation chips, and priced way up high beyond its predecessor. The price increase, given that we’re now getting 6-cores and 12-threads (6C/12T) from the former 4-core and 8-threads, isn’t that justifiable. However, its performance blew up its competition like the Ryzen 5 1600x and even paired with the Ryzen 7 1700 (8C/16T) in terms of gaming benchmarks published by many hardware reviewers out there. Of course, you can overclock it in order to get more from what’s defined by the factory. Lastly, you can even do mid-heavyweight content creation and work there if you pair it up with a good set of hardware as well. Learn more about it HERE. Don’t like settling with an AIO Liquid cooler? 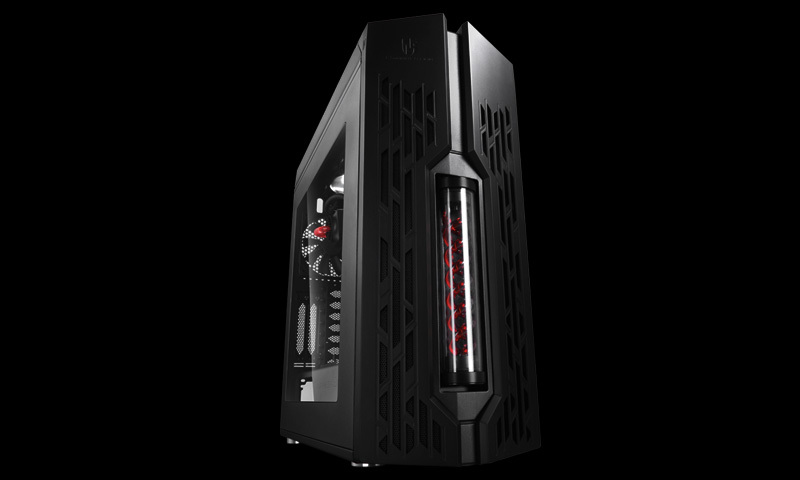 Then we recommend the Aura Sync-enabled air cooler – DEEP COOL GAMMAXX GT RGB. Due to its popularity and good air-cooling performance, we are sure that it can give any of your processor choices above a good cooling as well as good aesthetics, considering the fact that it also has RGB – although you can’t sync it with the rest of Aura-enabled components (which is, a bit sad). It’s also silent, compared to other air coolers which works like blowers when on full load, and support almost all other processor sockets out there, including ones from AMD. Learn more about the DEEP COOL GAMMAXX GT RGB HERE. While air-cooling can be appealing for some, most people who actually has cash would settle with an AIO solution. In our experience and based on people’s feedback as well, we’re settling with the IDCooling Auraflow 240 RGB for our build. It can render better cooling performance especially when you overclock the Core i5-8600k. Of course, having the RGB is a bonus, too. Learn more about the IDCooling Auraflow 240 RGB HERE. The Cooler Master MasterLiquid Lite 240, perhaps not the ultimate RGB-fied solution out there, but is recommended for the highest-end build because (1) it’s RGB, (2) it has a great cooling and pump performance, (3) it’s priced competitively. You can depend on it when overclocking the Core i7-8700k, while giving your rig that colorful RGB accent. Learn more about the Cooler Master MasterLiquid Lite 240 HERE. The ASUS PRIME series, known for being much affordable yet boasting essential features such as overclocking capabilities and new technologies, is our pick for both the A and B configuration. The Z370-A, is the lone motherboard on the PRIME series and in the Z370 platform that sports the ASUS Aura Sync support. Not only that, but it also sports signature white and black design, support for Intel Optane memory and so much more. Learn about the ASUS PRIME Z370-A HERE. This is for the letter C, actually. The ASUS ROG Strix Z370-E, known for its Aura Sync-rich RGB integration and new features, is our pick for the highest-end build. Although there’s the fact that there are higher-end motherboards like the ASUS ROG Maximus series, we are confident that the ROG Strix series will be enough for this kind of build. It is also the lone model in the ROG Strix series that sports 2×2 802.11ac WiFi onboard. Learn more about the ASUS ROG Strix Z370-E HERE. Take note that all of them are compatibility checked via ASUS QVL for the motherboards we’ve selected. We decided to stick up with 8GB and the Corsair Vengeance LPX due to the fact that it costs cheaper than our RGB G.Skill counterpart, though we neglected the RGB support. Since 8GB is the now-considered standard among basic builds and system requirements for games and applications, this is the most ideal configuration for budget users. Learn more about the Corsair Vengeance LPX HERE. Since our builds are RGB-fied, of course, we’re going to pick up one of the best-looking DDR4 module out there, and Aura Sync-compatible Skill TridentZ (the 16GB kit). Although this may cost a little bit, you are sure that syncing it with your other Aura-enabled components isn’t a pain. It also works seamlessly and is the crowd favorite so unless you got a lemon unit, you sure got a good RAM out there. Learn more about the G.Skill TridentZ HERE. Having it checked with the QVL of the motherboard, we chose to get a 32GB (8GB x 4) kit from Corsair, giving Google Chrome and your other RAM-hungry games and applications plenty of RAM to eat/use with. Learn more about the Corsair VENGEANCE RGB HERE. You don’t think of playing ultra-settings on games with a mere Core i3 processor right? Well, although we are sure that the Core i3 can run GPUs of up to GTX 1070 without any noticeable bottlenecks, in the name of balancing the build, we paired it up with a GTX 1060 instead. Of course, since we’re not forgetting 2017’s most critical component, we’ve made sure that we picked up the Aura Sync-compatible ROG Strix GTX 1060 OC. Learn more about it HERE. Being paired up with the new Core i5-8600k, we can say that you can play high-to-ultra settings on some games with the GTX 1070. In fact, the Core i5-8600k can support GPUs of up to GTX 1080 and even the GTX 1080Ti if you have enough money to shell out. Of course, it’s also the Strix variant so that RGB isn’t neglected. Learn more about the ROG Strix GTX 1070 OC HERE. ROG Strix GTX 1080Ti OC – Why do we need to explain this? Just pick up the highest-end consumer graphics card available for ultra-settings gameplay if you have the cash and enjoy both the Aura Sync compatibility and running your G-Sync enabled monitor that we’ve picked up for this build. No other words. Learn more about it HERE. To be honest, that 520W is more than enough for what is required for this build. The Core i3-8350k draws a decent amount of power, given that it has a TDP of 91W. We also got the modular variant (costs around a thousand more than the non-modular S12II), in case you hate so many cables that weren’t used. Forget about the RGB features, it’s going to be covered under the PSU shroud, anyway. Learn more about the Seasonic M12II 520 EVO 80+ Bronze HERE. While we said earlier that 520W is more than enough, we decided to give this build more power and more headroom – because it helps to prolong the life span of a power supply, after all. You can do overclock the Core i5-8600k without running power juice as well. Lastly, being the similar M-series from Seasonic, it’s also modular and costs around a few bucks more from its 520w counterpart. Learn more about the Seasonic M12II 620 EVO 80+ Bronze HERE. If you want to do extreme overclocking with this build, then you need a PSU with a lot of power to be able to handle it. We recommend getting the rock-solid and 80+ Titanium certified Seasonic Prime series. Of course, this comes with a hefty price but who cares? You are getting the expensive parts so why bother not spending for a good power supply? Learn more about the Seasonic Prime 750W 80+ Titanium HERE. While SSD + HDD is still the trend in terms of storage configuration nowadays, we decided to left out the SSD and instead, opt in for a solid-state hybrid drive (SSHD). It’s like using an Intel Optane with your HDD, but already in one package. Ultimately, the benefit of picking up a SSHD is savings. 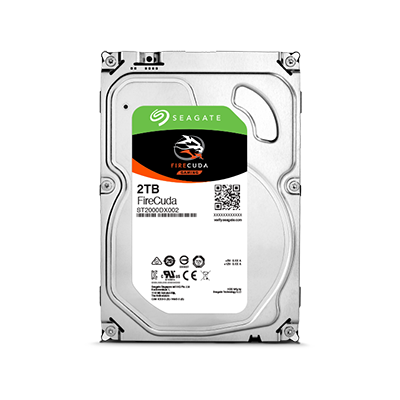 You can learn more about the Seagate FireCuda HERE. You might be wondering why we decided to go with a SSD + SSHD configuration here. – so here is the reason. All wants their PC to perform faster than their internet connection, so we feel that having a fast SSD for your operating system as well as a faster and larger hard drive for your game library or file storage is also needed. Of course, you can save more by picking up a HDD instead, but it will break the purpose of these build. Learn more about the Samsung 850 Evo HERE or about the Seagate FireCuda through THIS LINK. Same case with the letter B. The only difference is that we’re getting the faster and more expensive Samsung 960 EVO NVMe SSD, giving more space to store even the frequently used games and applications for much faster performance. No mechanical hard drives beat any SSD after all, in terms of performance. Learn more about the 960 EVO HERE. We believe that on this part, it is a matter of choice because we all have different taste and fetish. But still, we want to maintain the brand consistency by picking up cases that are either Aura Sync compatible or even more, ROG-certified. We love Cooler Master cases, and thanks to their Aura Sync support, we can pick this up to integrate the included fans on our motherboard. It’s also sporting tempered glass on the right and Dark Mirrored window panel on the front side. It also includes a 1-to-3 RGB splitter where you can share RGB header ports in order to connect more than 1 fan at the same time. It is only available on a single color which is black, yet you can give it more life by adding RGB to it. Learn more about the Cooler Master MasterBox Lite 5 RGB HERE. Phanteks, on the other hand, is a crowd favorite as well especially with their Eclipse and Enthoo series. Given that this case also has native Aura Sync support, we can also sync its RGB LED lightings with the rest of the Aura-enabled components. 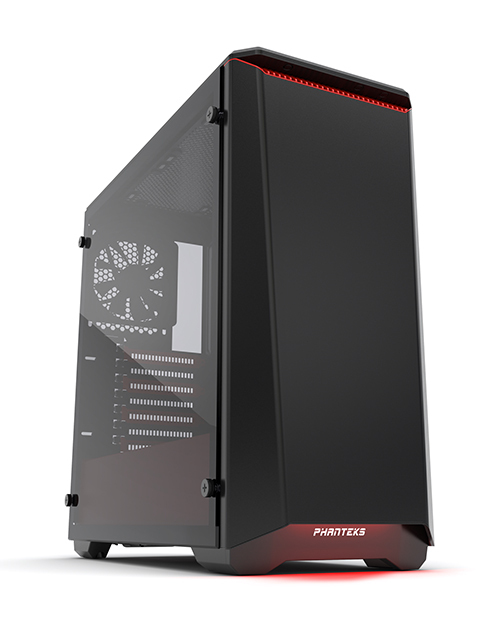 Learn more about the Phanteks Eclipse P400 TG HERE. If you are going to pick the Deep Cool Genome ROG Edition, you might not consider picking up a CPU cooler at all, since this includes an integrated and a great one. Of course, being ROG-certified, means native Aura support for that awesome RGB-goodness. Did we also say that it’s front integrated reservoir is also RGB-fied? Learn more about it HERE. ASUS VZ249H – We are pairing this up with a decent (A) build, so you don’t need that much after all. This one has a frameless design, 80Hz refresh rate and its IPS, so expect much great viewing angles with this one. Learn more about it HERE. ASUS VG248QE Gaming Monitor – Of course, we need to step up the game in terms of refresh rate with this 144Hz monitor. Although it wasn’t endorsed as neither G-Sync or FreeSync supported, we can get great visuals and gaming experience with a higher refresh rate display. Learn more about it HERE. It’s the ROG Swift Ultra-Wide! Yes, the ROG Swift PG348Q Curved Ultra-Wide Gaming Monitor is our pick for the highest-end build. It supports NVIDIA’s G-Sync, overclockable from 100Hz onwards, and has gamer and content-creator friendly features that everyone will love. It doesn’t come cheap, though. Learn more about it HERE. The new Cerberus Mech RGB keyboard is pretty decent, although a bit pricey while not sporting a Cherry MX Switch could give you a doubt. No support for Aura Sync but if you are a true ASUS fan while on a budget, this is your keyboard to-go with. Learn more about it HERE. Or (C). It’s a matter of preference, though. The ROG CLAYMORE and the CLAYMORE CORE is just the same keyboard although the one with the numpad costs more. It’s the first with a detachable numpad, while featuring native Aura Sync compatibility as well as other MX switch variants (nice). Learn more about the ROG CLAYMORE HERE and the CLAYMORE CORE TKL HERE. It’s a matter of preference, though. They’re all good, but there’s one with a better design, performance, wireless option, ambidextrous, and so much more factors to decide upon with. Also considering the cost. The ROG Strix Impact, surprisingly cheap but a great one, features Aura Sync, on-the-fly DPI switching as well as being ambidextrous (giving support for both left and right-handed users). It has a max DPI of 5000, and yeah, it’s fit for the budget-tier category. Learn more about it HERE. The ROG Gladius II, looks great especially with the side-illumination lighting. It is ergonomically designed and no matter what grip do you prefer; the Gladius II can handle it all. It also has a ridiculously huge max DPI of 12000. Learn more about it HERE. The ROG Spatha, the dopest among them all, looks aggressive and really expensive. Also, having the option to remove the wires is a really big premium, and 12 programmable buttons? Where in the world are you going to use that? Well, if you’re a MMO gamer, content creator who loves reachable shortcut keys, you’ll surely appreciate that. You can also 3D-print design elements, and do so much more. Learn more about it HERE. The Cerberus V2, which is the enhanced version of the old Cerberus is actually good for starters. It has deep bass, comfortable earcups for long gaming sessions as well as stainless-steel headband for added durability. The dual-mic feature also helps, especially in terms of in-game comms and clarity of voice. Learn more about it HERE. ROG Vulcan ANC – This is the only pick here which promises to have Active Noise Cancellation built-in. Although aren’t tested yet, reviews say that it actually works, especially on communication-based games and platforms. Great on communicating with others, too – because noise-cancelling helps you to understand more of what you’re saying and what you’re hearing. Learn more about it HERE. Last but not the least, is the expensive yet great ROG Centurion. Featuring true 7.1 surround sound makes it super immersive in games and content consumption, while not sacrificing comfort at all. It has dedicated volume and control dock, as well as a headphone stand bundled (a must considering its price). Learn more about it HERE. PCHub, JDM, DynaQuest, EasyPC, etc. These are not really budget-optimized builds, since we’re sticking out to a brand and its high-tier products. If you are truly a fan of the said brand, then you might think about building these PC builds for you to enjoy using with, and showing your admiration to the brand. It’s just a reference but it might help a big, especially knowing that ASUS ROG is known for its excellent products. Yep, they’re expensive AF. We know that – that’s why on the upcoming months we’re working on another build guide for budget users that wants to switch or upgrade to the 8th Generation Coffee Lake platform. We hope that these simple build list helps you on deciding which parts to buy for either a content-creator friendly editing/gaming PC, or just a show-off rig from your hard earned money. You might want to check out our previous PC builds which are linked below. And if you think this helps, share this with your friends so that they also have a better idea on which parts to buy for their next system if they’re also interested with an ASUS ROG-themed Coffee Lake system.